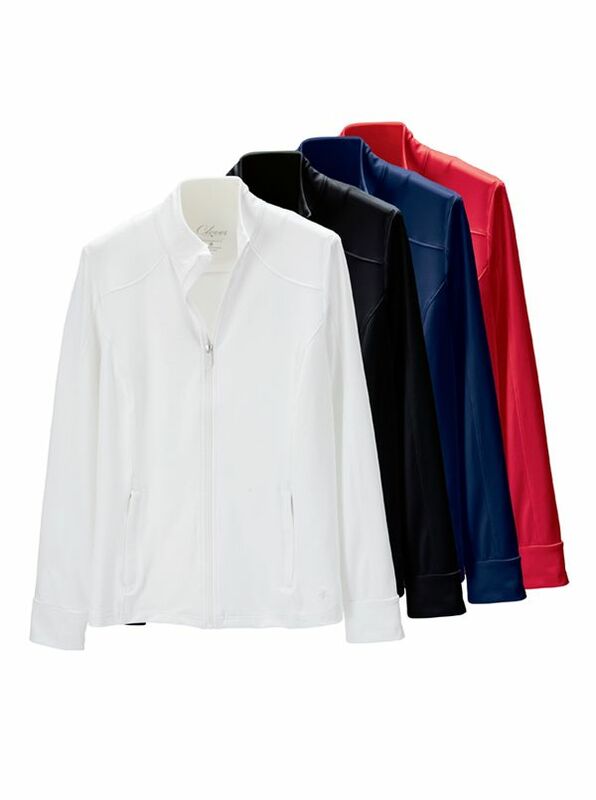 Bobby Jones Lightweight Zip Performance Stretch Jacket is just the thing for cool mornings breezy afternoons. With stand-up collar two zip pockets knit cuffs. 92% nylon/8% Spandex. Imported.